Yesterday afternoon my husband and I, and our friend, Judy, attended a choir concert at St. Peter’s Lutheran Church in Kitchener with Inshallah (a group numbering 130)and the St Peter’s choir and all the musicians involved. The church was filled and so was the front of the church with singers and musicians. The choirs sang pieces from around the world—England, Zimbabwe, Cameroon, New Zealand, Latin America, Brazil, USA, Korea, Germany and Poland—in English and in other languages. A few selections were: He Came Down, Helpless and Hungry (Paired with What Child is This? ), Come Now, O Prince of Peace. We as audience members were invited to join in on traditional carols as well as the refrain of several choir selections. Senior pastor, Mark Ehlebracht delivered a moving message on who Christmas is intended for and how we often want to set aside the troubles in the world to enjoy a Christmas for children, when really Christmas is for all of us. As well we heard from Judy Nairn, Executive Director of Hospice Waterloo Region. That organization is recipient of all donations from the concert. Nairn spoke of how the organization provides services to those diagnosed with cancer and their family members. She said people often think of Hospice as the “end of the road” when it’s so much more than that. Directors for the choirs were Debbie Lou Ludolph (Inshallah) and Peter Nikiforuk (St Peter’s Lutheran Church) with Bradley Moggach on piano, Bill Gastmeier, Ian Sommer and Don Neville on guitar. Playing percussion were Julie Hill, Don Neville and Daniel Corrigan. Kristine Lund of Wilfrid Laurier University Seminary, played violin and Joshua Ehlebracht and Peter Nikiforuk on organ for carols sung by the congregation. What a joyful sound and a reminder of God with us in a world that’s not always so welcoming. We were delighted to hear that portions of this concert will be used for the Christmas Eve broadcast this year and again on Sunday, December 27th at 10 am EST via CTV Southwestern Ontario and will include vignettes and Christmas greetings from around the world. The last, a favourite—Silent Night— with candles lit and lights turned down, was our closing carol before the postlude. Perhaps you’ll tune in for one of those broadcasts and enjoy the music as much as we did. Back to our holidays and something we did for the first time. 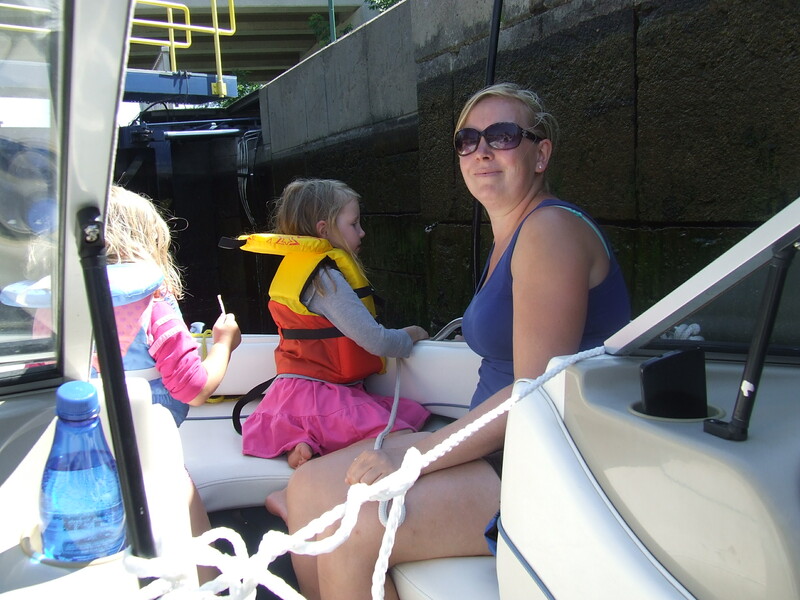 My husband and I had watched from the sidelines as boats went through locks in Peterborough and in Midland area, but this time we experienced it while riding in our daughter and son-in-law’s boat. 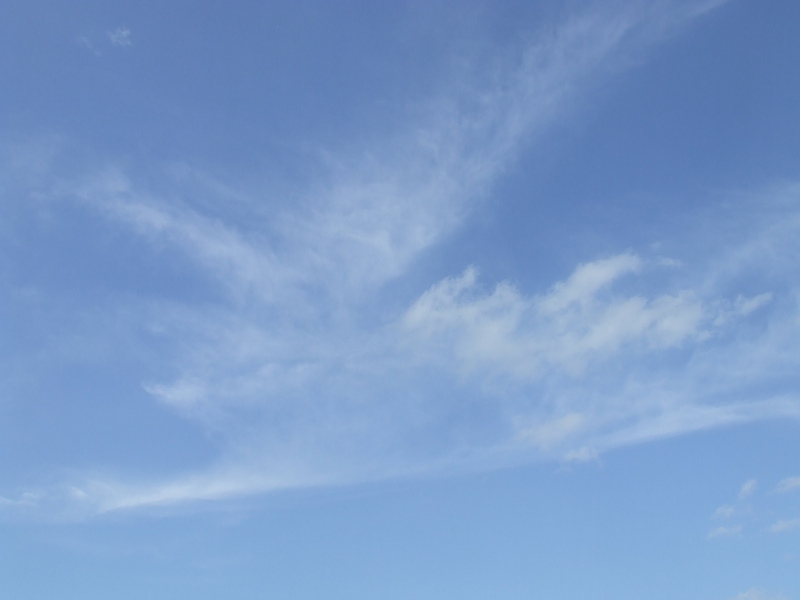 We had a clear day and my daughter packed a picnic lunch, water and juice boxes, and extra snacks for the children. 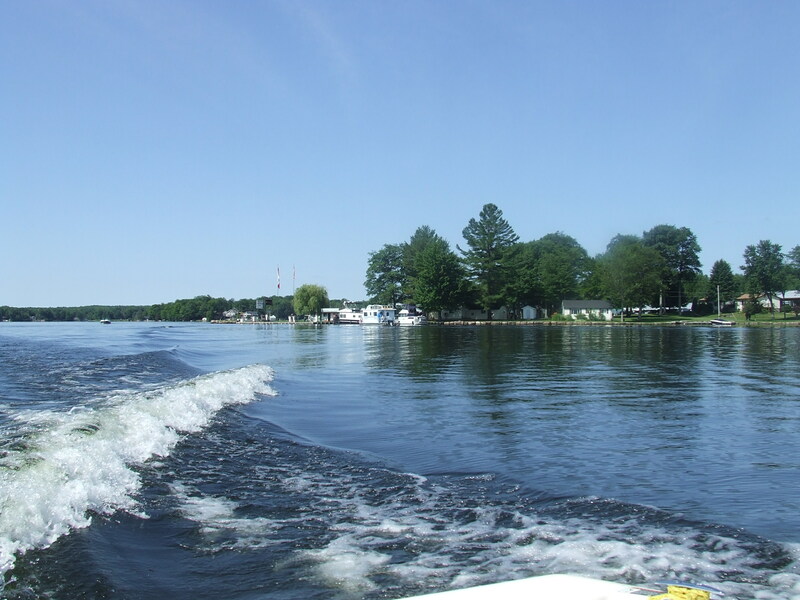 We set off from the trailer and got settled in the boat, life jackets and all. 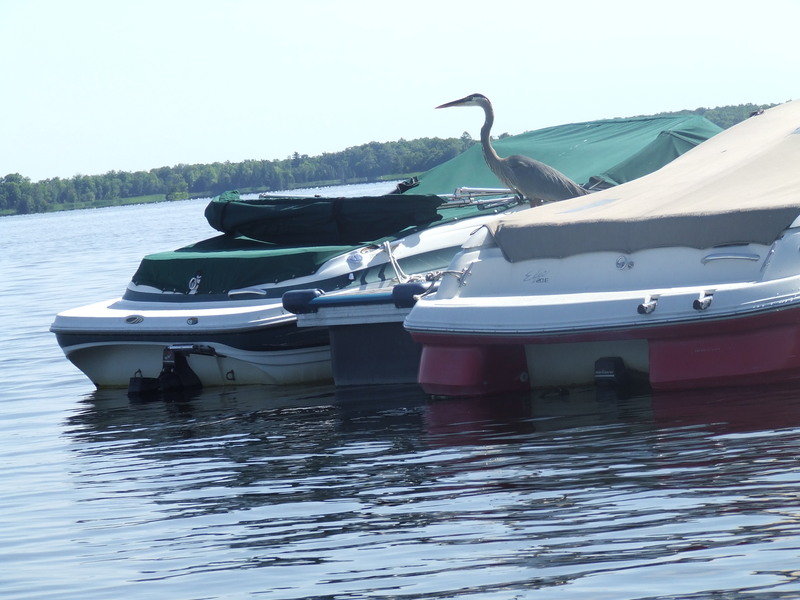 We saw a bird on one of the other boats as we pulled out. Here’s a better shot. It’s a stork. 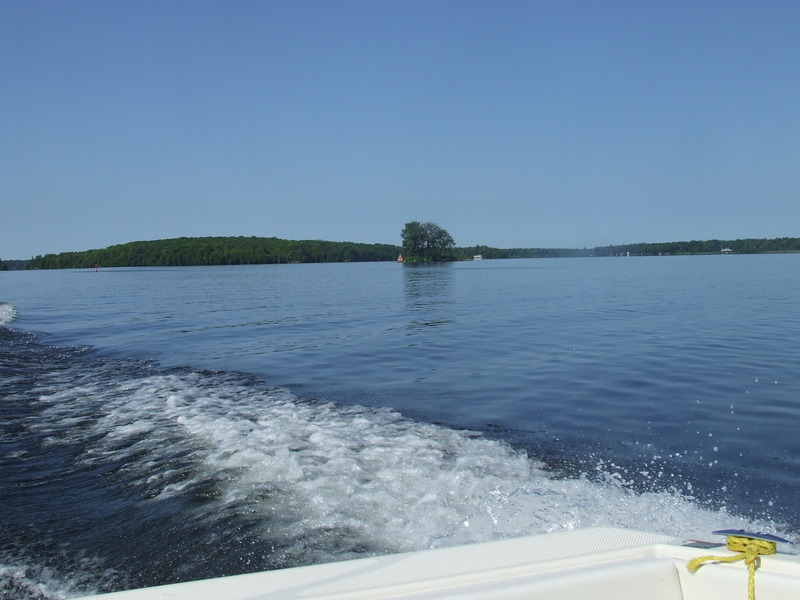 Leaving the park behind, I noticed how the boat makes a trail that looks like a dolphin’s or whale’s forked tail. 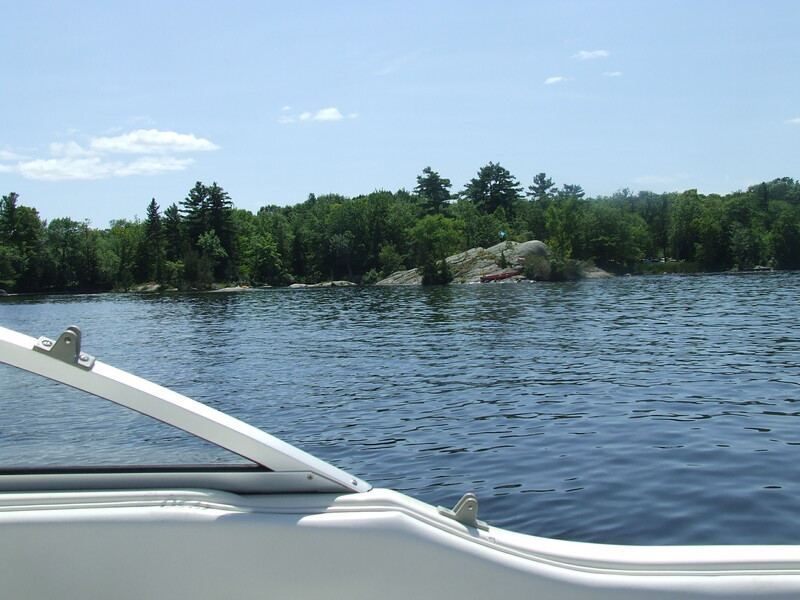 It’s slightly cooler out here on the water with a bit of breeze. 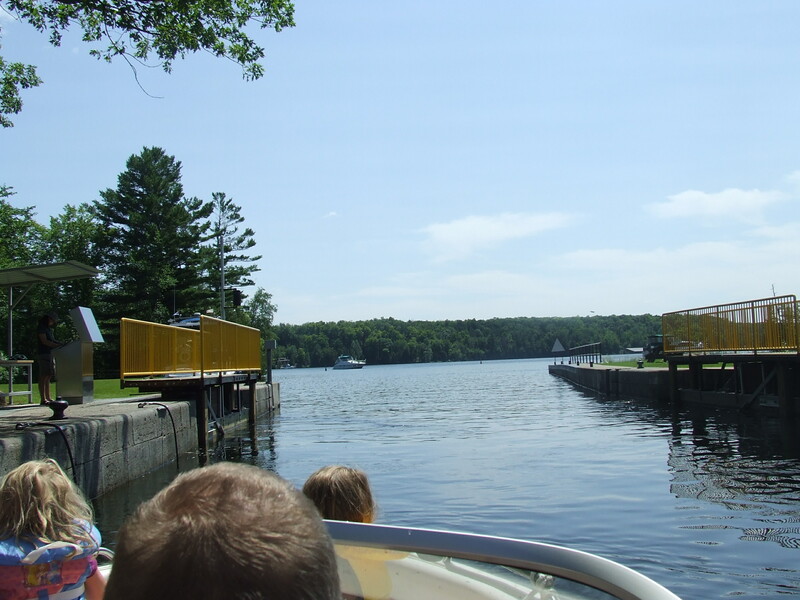 Buckhorn – Lock 31 is a very busy spot in July and August, so keep a good watch for downbound traffic as you turn into the lock. 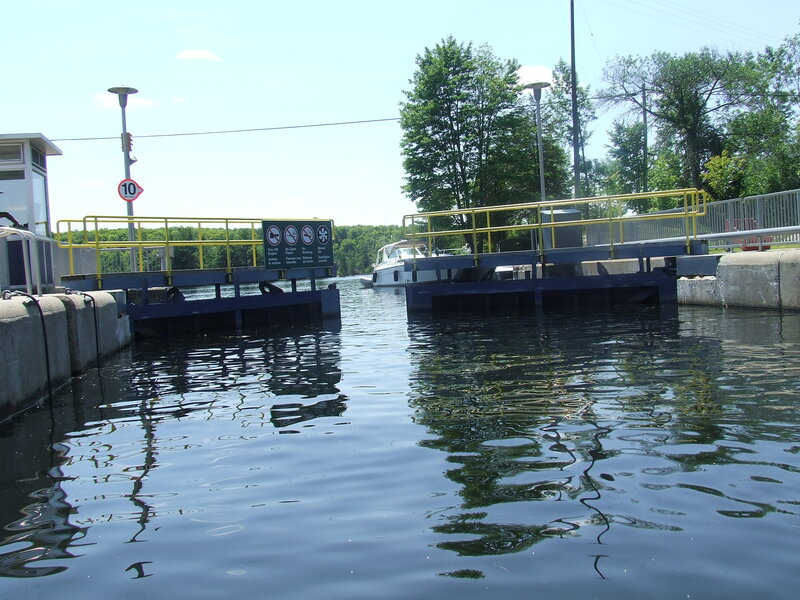 Waiting at the first lock at Buckhorn for all the boats to be secured. 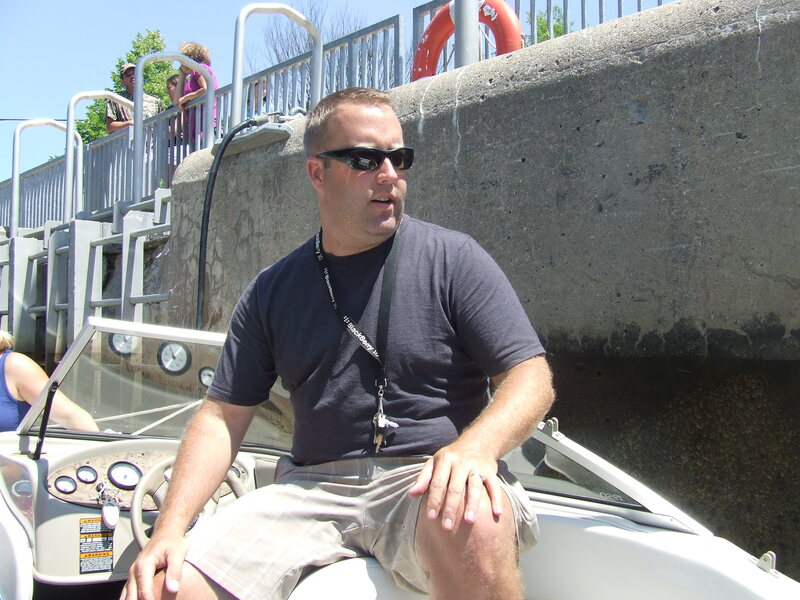 As a boater, our son-in-law is a safe operator. Looking up to the top to see how far the water will rise. She already is a good helper in putting out the bumpers to protect the side of the boat. It was also a very warm day and we’re wearing our sunscreen. I cannot remember all the spots and which ones they were. 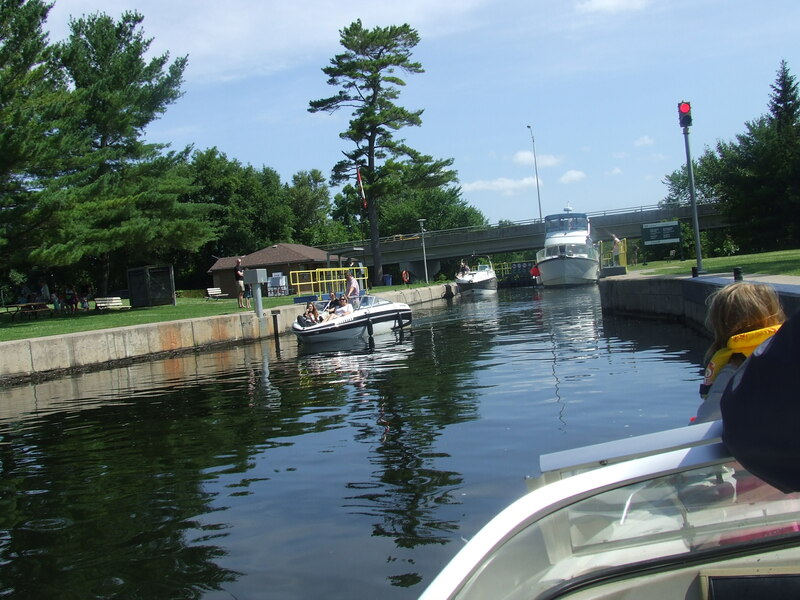 We went through Buckhorn Lock, 31, then Lovesick Lock, which was #30 on the way to Bobcaygeon. LoveSick Lock: There’s a story to that name. 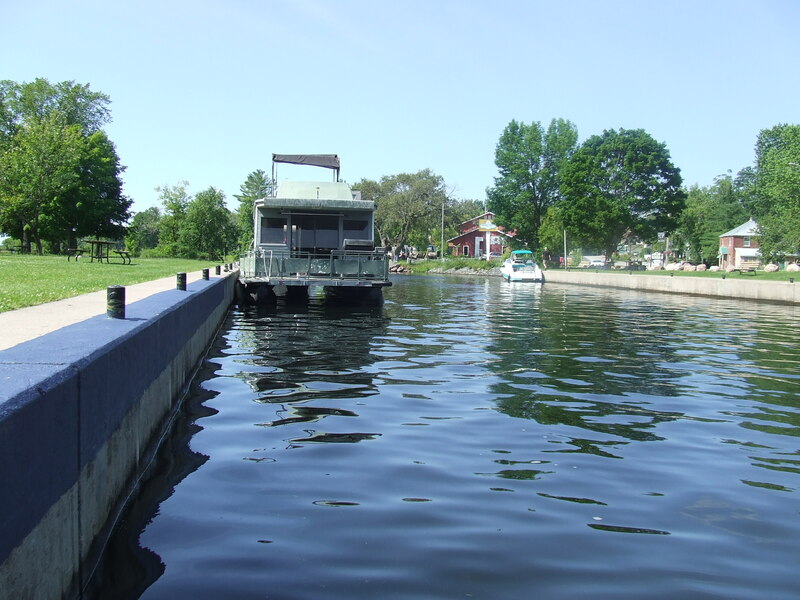 Lock 30 – Lovesick, tucked in on Millage Island, is hard to spot, so look for the red day beacon on Wolf Island to guide you in and around the green buoy to the lock.There is no road access to the lock, so the quiet and beautiful surroundings make this the place to be in this area. 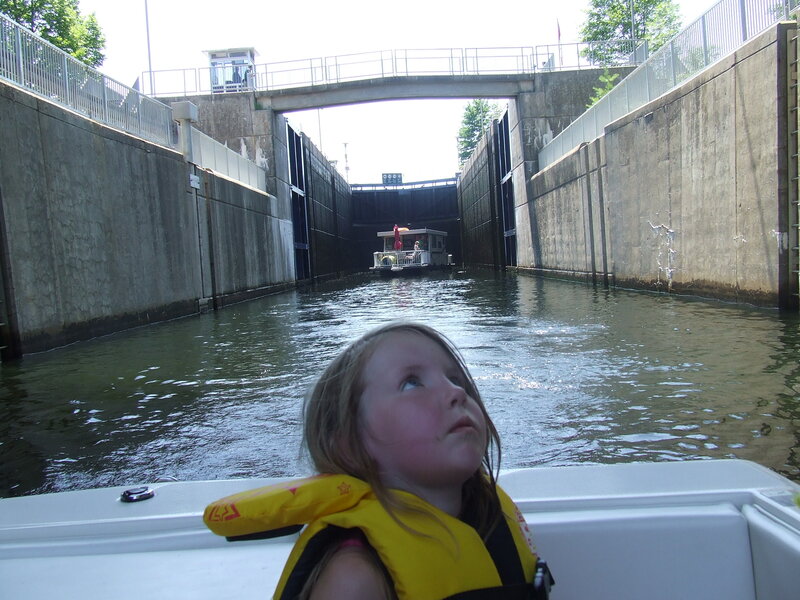 In peak season, plan on arriving early and grabbing a space on the lower lock wall.You’ll also find space on the upper walls in a park-like setting. 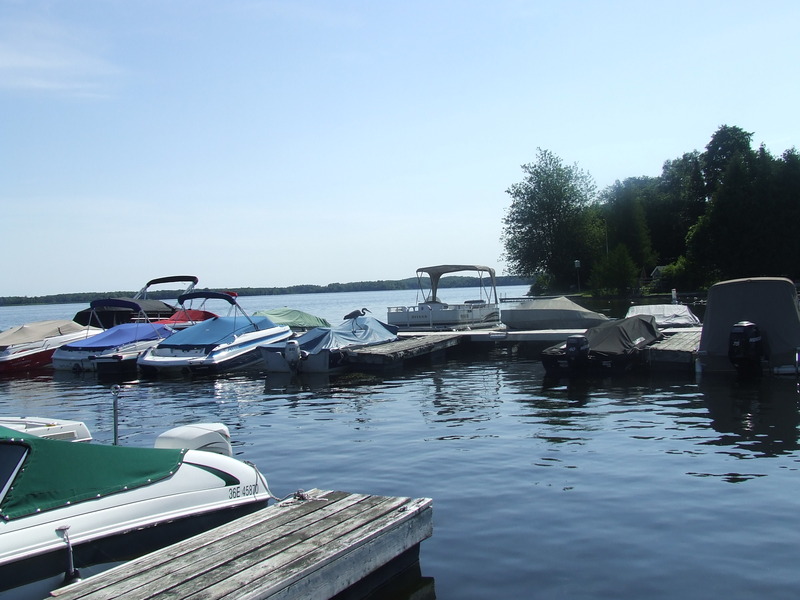 Some grand boats on this stretch of water. Think we’re back at Buckhorn. 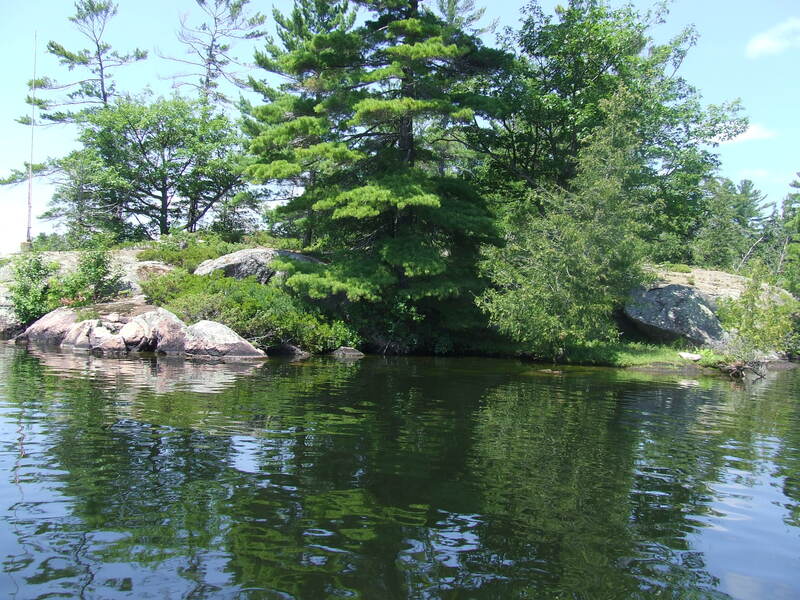 Canoe pulled up to that island. 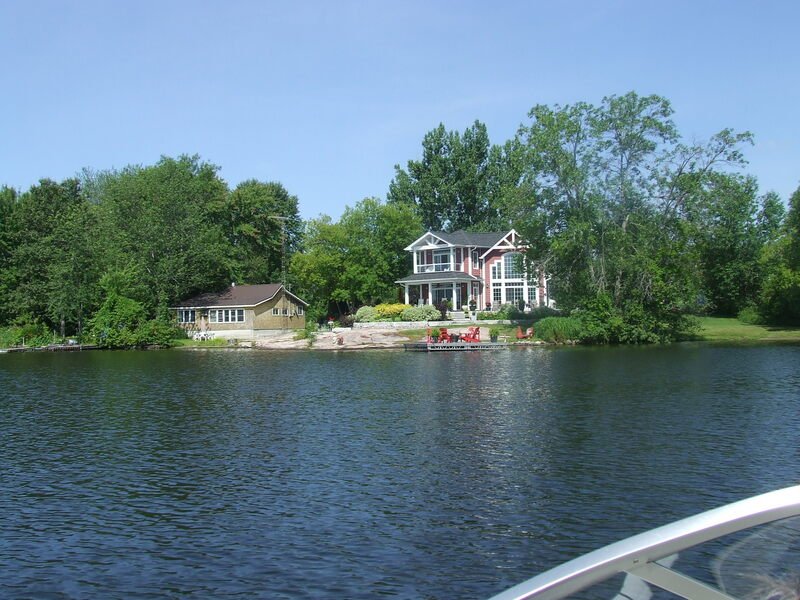 Is there even a cottage there? The open water, the sky. 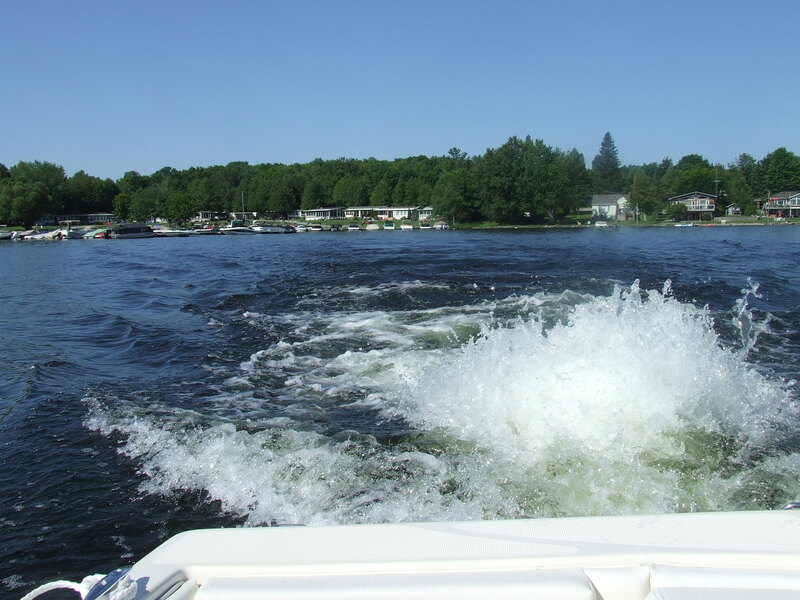 The sun was hot but we’re cooler on the water. Still a sunburn at the end of the day in spite of applying more sunscreen part way through our outing. Along the lake shore on our way back to the resort. It’s been a good day and the girls are tired. On our way back to the resort, and the girls slept part of the last stretch. It was a good day. 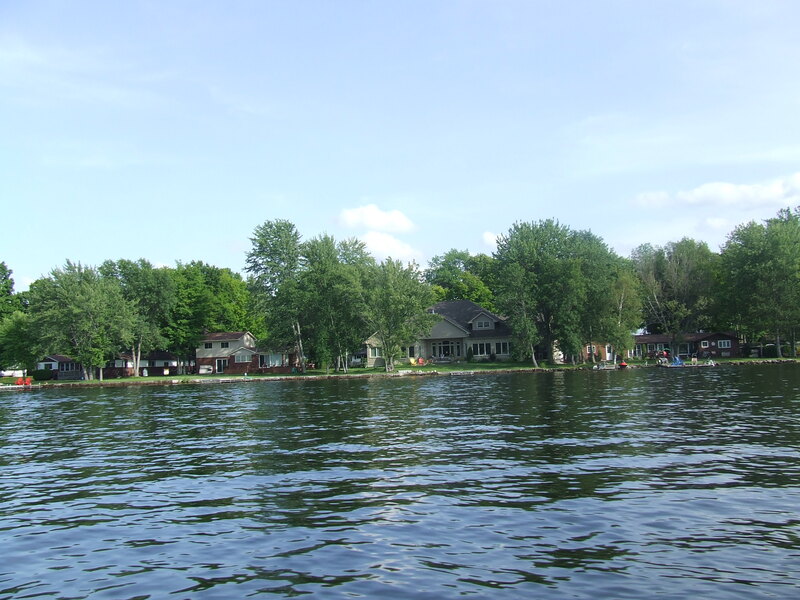 As mentioned in Part 1 of Canadian Canoe Museum, there’s so much to see and learn here that one could spend most of a day here. 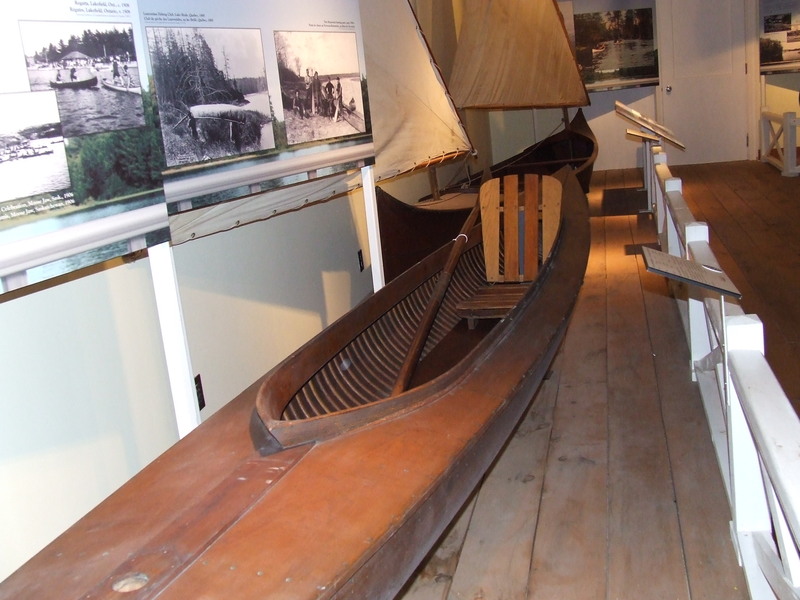 Missionaries, beginning with the Jesuits in the 1600s, regularly used canoes to reach the remote parts of Canada… they cheerfully accepted the rigours of life on the trail. 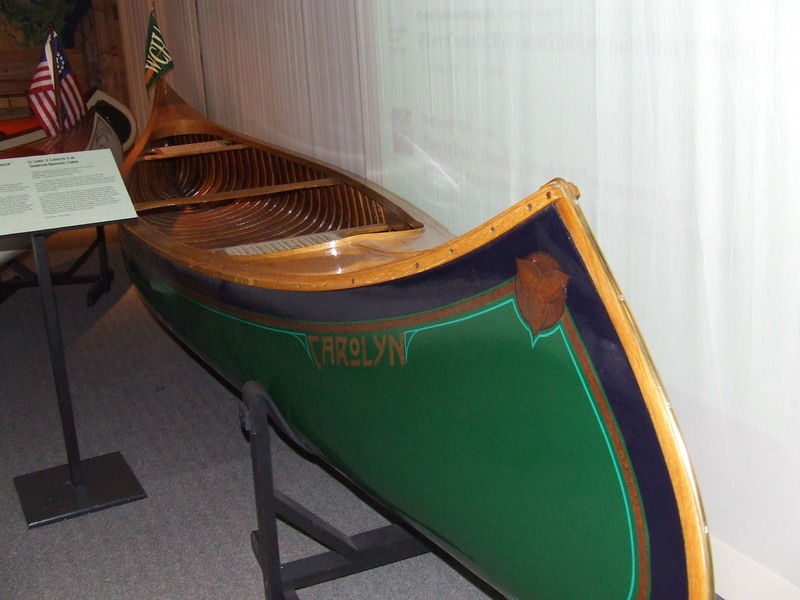 A canoe that folds. Imagine that! I suppose it would help where there is limited storage space. Here’s a closed-in canoe, somewhat like a kayak in appearance. 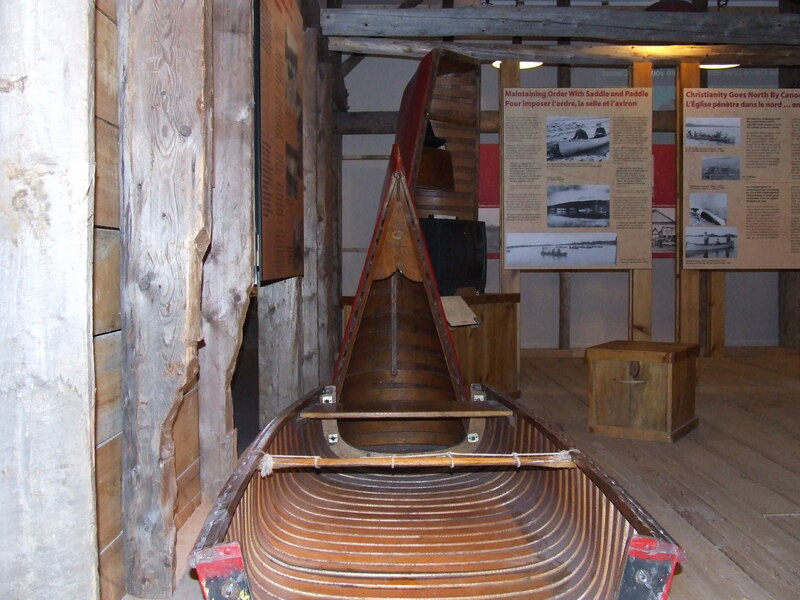 See the wooden seat, like a lawn chair, and the attached oar. 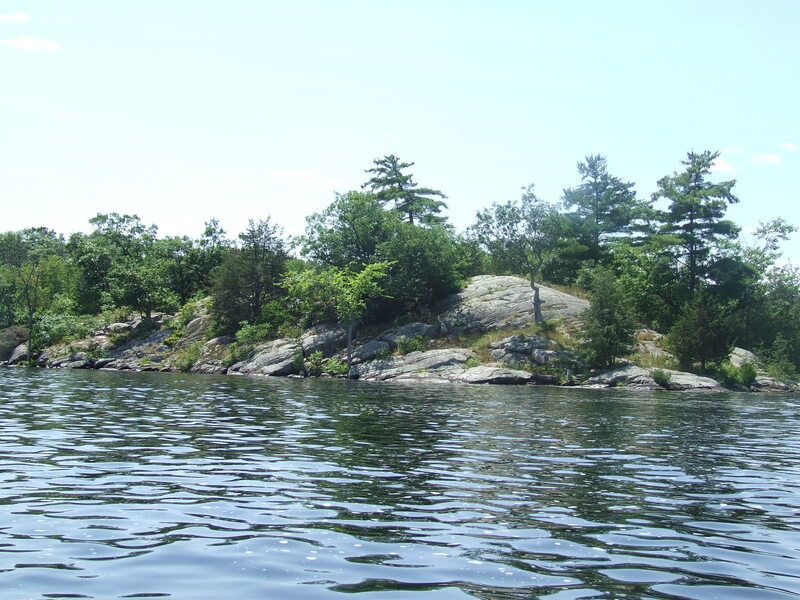 Perhaps only for leisure and not a working canoe. 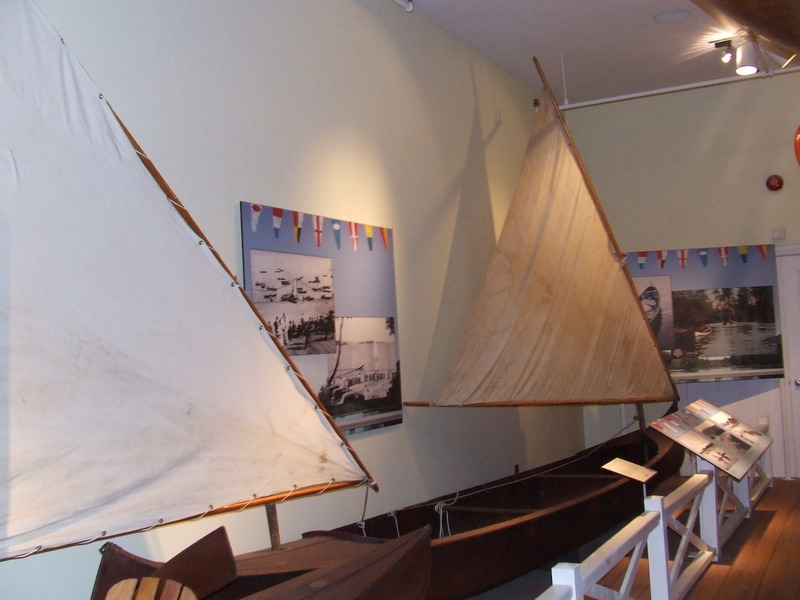 A canoe, with not one, but two sails. The sails would catch the wind and it looks like they could be moved to do just that. 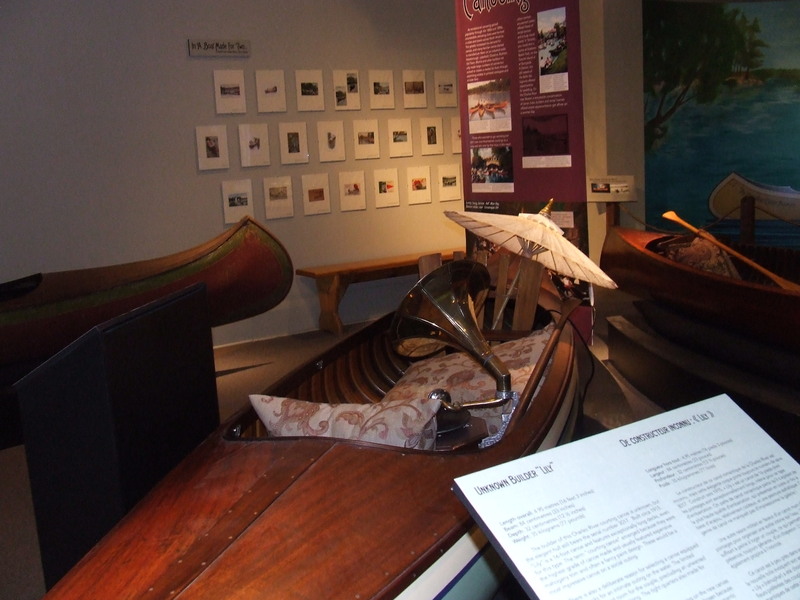 A courting canoe, with cushy pillows for the pair, and music too. 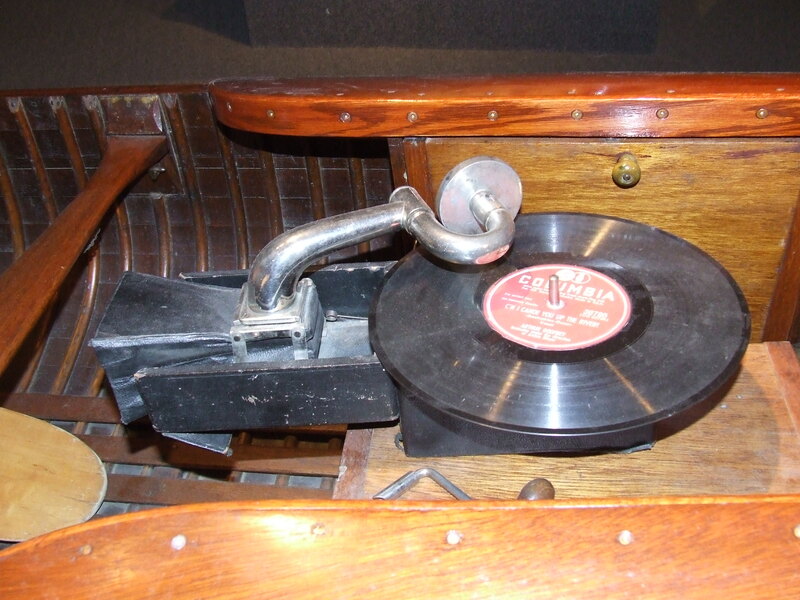 See the on-board Victrola? A close-up of the music machine. I think the courting couple would want to go out on calm waters, otherwise the record player and cushions could get wet. Imagine the courting couple out on the water of a calm lake and they’re listening to their favourite music as they paddle. 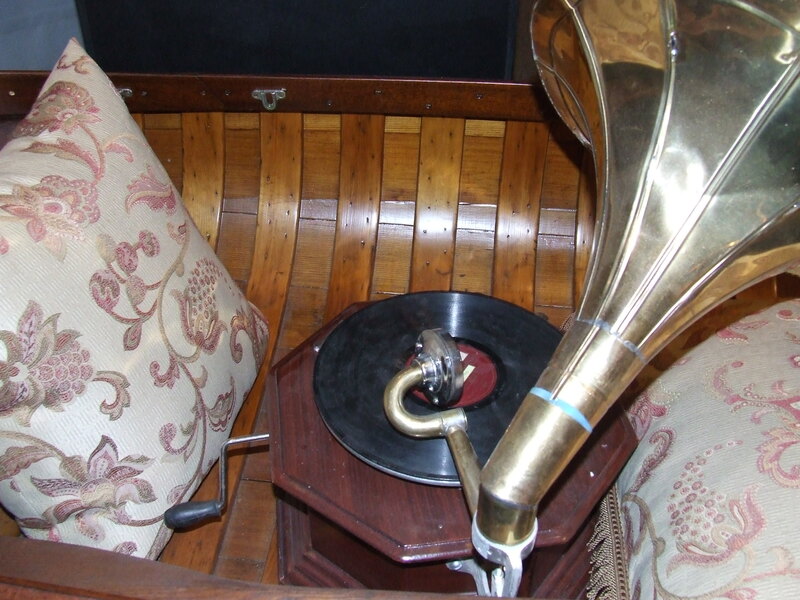 In another canoe, a similar type of record player, without the amplifier. We had records like this in a black box gramophone. 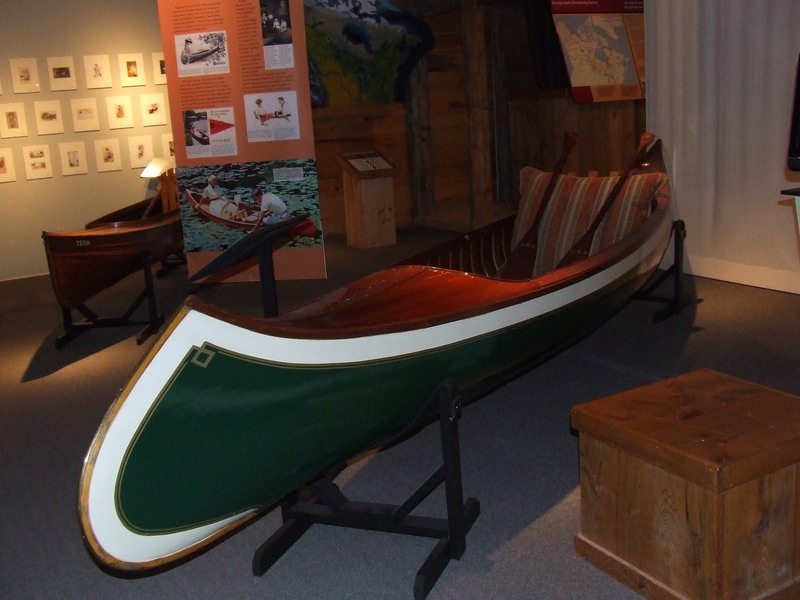 Look at this sleek canoe with the cushioned seat. Pretty classy. And the very last canoe we saw named for someone special– it’s a good name. There we are at the end of the canoe museum. I stopped at the gift shop to look around. I came home with two books, one to read to my granddaughters and one about storytelling. Love the children’s picture book story, One Dog Canoe, by Mary Casanova, illustrated by Ard Hoyt. I also discovered that one story in the book, Mugged by a Moose, ed. 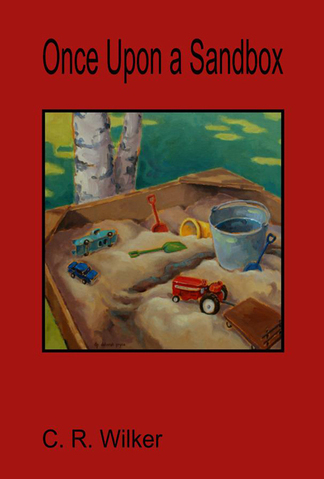 Matt Jackson, was written by a Waterloo Region author, Leslie Bamford, whom I happen to know.